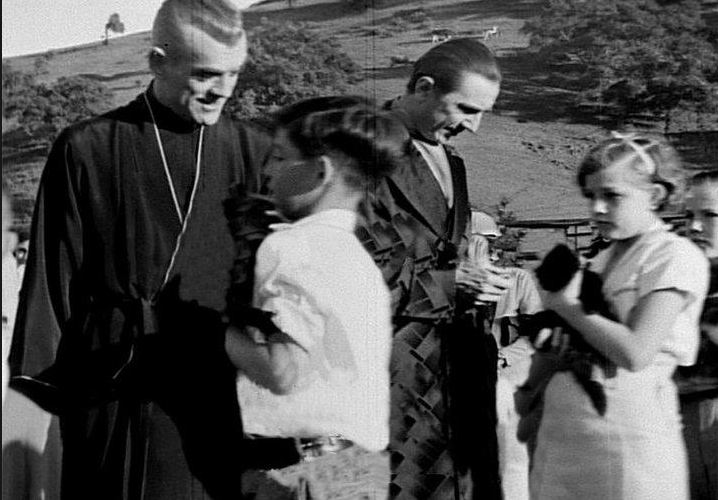 Bela Lugosi and Boris Karloff judged a competition held at Universal City on March 14th, 1934 to choose a black cat to feature in The Black Cat, their first star pairing by Universal Studios. 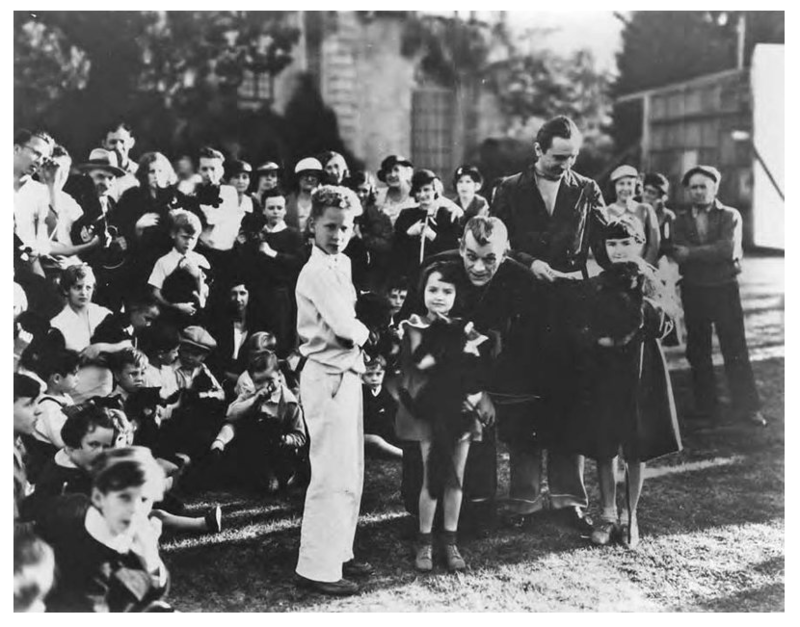 The cameras captured children parading their cats before the two costumed stars. The winner, named Mr. Jiggs, appeared in both The Black Cat and Gift of Gab, also made by Universal and featuring Lugosi and Karloff in cameo roles. Mr. Jiggs’ owner was awarded $15 for winning the competition.